Yesterday I received my diploma from the University of Texas at Austin. Naturally, I did what one should do with one’s fancy-schmansy degrees — I stuck it to my parents’ ‘fridge with magnets. There we are. I’m all graduated from the University of…. 1. On the title page, abbreviate your previous degrees like this: Name, B.A. ; M.F.A. 2. Delete the document title from P. 1. 3. Beginning on p. 134 until the end of the document, there is a footer that needs to be deleted. All your page numbers need to be bottom centered 1.25 inches. Once you have made these changes, please upload a revised file by logging onto….etc. 2. This summer, I’ll be at the Sundance Theatre Lab, courtesy of the Kennedy Center. I plan to write a play (and develop/edit a couple other things). 3. Following that, I’ll head to New York City for the International Fringe Festival. There, Halfway, Nebraska will premier. I’ll be collaborating with director/producer Daniel Melnick, who previously directed Nebraska by Noon at UC Santa Barbara. We recently spent the weekend workshopping Halfway, Nebraska, including doing a reading with Davis actors Elizabeth Fullmer, Maddie Stone, Kane Chai, and Sean Olivares. We also went for a drive. 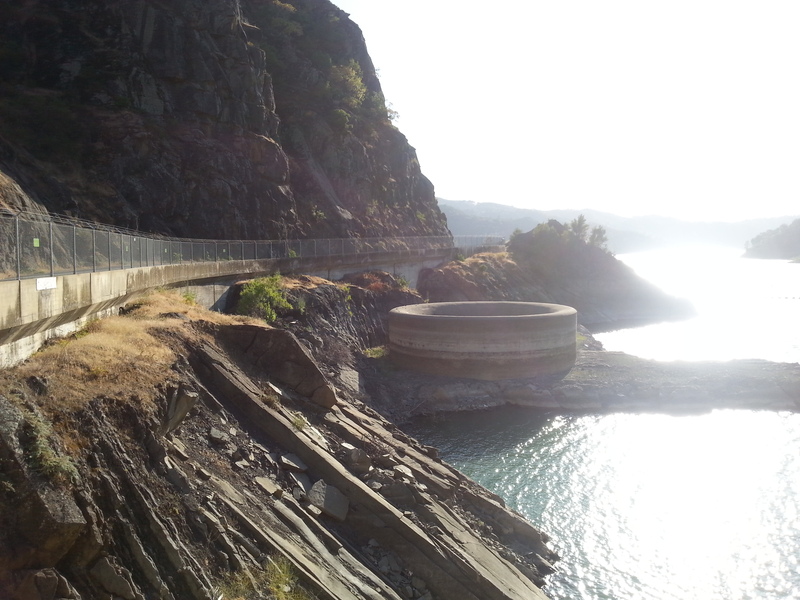 I wanted to see the old Monticello dam that was central to my play Dammed. That’s the Glory Hole, which is an unfortunate name for anything, which is near the sam at Devil’s Gate. The drought has hit California hard. Berryessa is low, but not compared to other lakes in the state, as Berryessa isn’t fed by snowpack. 4. My one-act Between Brother and Sister is being produced by Silver Spring Stage in Maryland in August. Directed by David Dieudonne. If you’re in the greater D.C. area, take a look. 5. I’ll be returning to Austin the fall, where I’ll be the Director of Theatre Arts at Skybridge Academy.